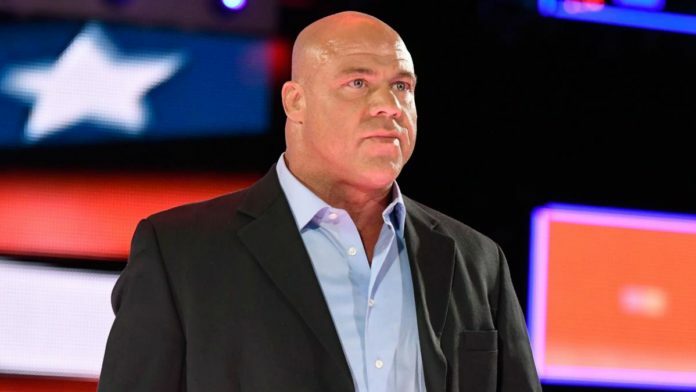 Kurt Angle often holds Q&A sessions from his official Facebook page and the Raw General Manager talks about various wrestling and non-wrestling related topics there. He recently held another such session where he discussed the upcoming Extreme Rules PPV and revealed which feud he would book, among other things. A fan asked Angle which feud he would book if he had full creative control. Answering it, the former Champion said that he would have booked AJ Styles vs. Seth Rollins because both of them are super hot right now. Another fan wanted Kurt’s advice for a healthy and happy life to which he said that the fan should engage with his family more and do events with them.